A joint venture project "ConsoLogic" for research and web development between PeaceNic and iGeNic just released an online free XML Sitemap generator tool. ConsoLogic finally released their 2nd online free tool website, CreateXmlSitemap.com Previously they released a beta version of their first website having a database of approx half million dot com domain name suggestions based on an Artificial intelligence algorithm for brand name ideas. https://CreateXmlSitemap.com is a simple and neat one-page website coded in PHP, offers a free XML sitemap without requiring any user signup or registration. Users can create an XML sitemap by providing their website URLs, then tool generates simple sitemap as per XML schema recommended standards. A Sitemap generated from this tool can be submitted to Google, Bing and other search engines to help them crawl a website better. A good XML sitemap acts as a road-map of your website which leads search engines to all your important pages. XML sitemaps can be good for SEO, as they allow search engines to quickly find your all website pages, even if your internal linking isn’t perfect. If someone wants Google to crawl every important page of his website, but sometimes pages end up without any internal links pointing to them, making them hard to find. An XML sitemap lists a website’s important pages, making sure Google can find and crawl them all, and helping it understand any website structure. CreateXmlSitemap.com is a smart and user-friendly solution for this purpose. 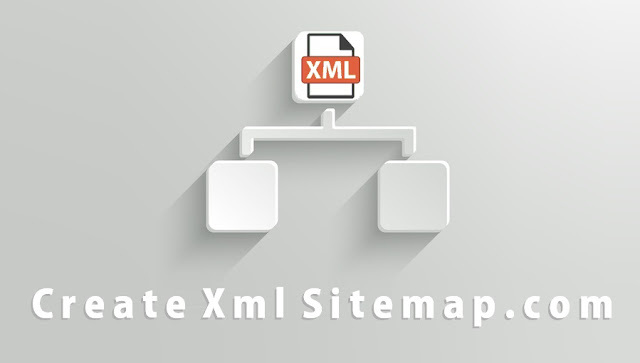 In fact, in just a few minutes any newbie could create a really good XML sitemap. even he doesn’t have to know how to code. One just has to know how to click. Currently, users can generate two basic types of sitemaps using this free tool. Search engines use crawlers to organize and index information on the web. These crawlers can read all kinds of information. But an XML sitemap makes it easy for the crawler to see what’s on your website and index it. A well-structured sitemap can do even more, however. Sitemaps can tell search engines when a page was updated, the frequency of updates to the page, the relative importance of pages within a website, and how to find and index content that may be found deep within the site’s structure. If your websites use both HTTPS and HTTP you should not include both versions of your URLs but choose the one you find more appropriate for your content. It is not recommended to include session IDs in your URLs due to the fact that it might result in incorrect or no crawling of the certain page. The position of your URLs in your Sitemap does not affect the crawling process in any way. "They will release more advanced versions of this tool in coming few months by adding more options and features for webmasters. SEO always being a complex topic for newbies and the tool was developed considering the basic requirements of the new webmasters." ConsoLogic is a joint venture project for research and web development between PeaceNic and iGeNic at ISLAMABAD, Pakistan, Since Jan 2018. iGeNic is a team of freelance developers and designers working since last 15 years. PeaceNic is a division of PEACE INTERNATIONAL Pakistan, offering domain name registration and web hosting services since last 12 years.